Sometimes it seems to me it might sound a little odd, or even meaningless, People´s admiration for clean streets when they visit a place: - "Such a charming lively city", "Oh, look, what a nice landscape!" -"Hey, everything is so clean". 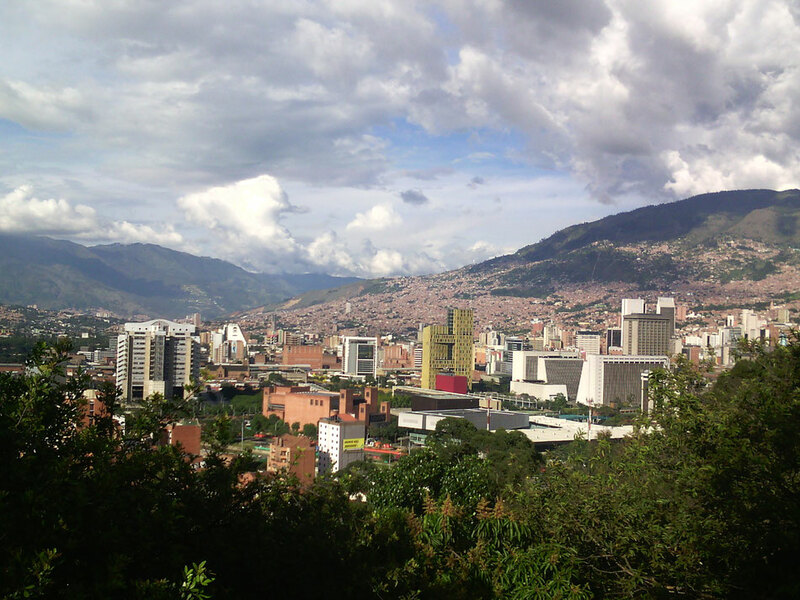 Not being totally irrelevant, it was one of the first things I noticed about Medellín. Maybe it is because it has been a problem in Bogota, nowadays significantly less acute than in the past, that we immediately spot and cherish like the Promised Land a clean well-maintained street. About this, I was a little tired of listening to Bogotanians complaining about how the city stopped being theirs by receiving so many immigrants from other parts of the country. Because it became "nobody's land", then nobody cared. Was this the reason? There are lots of immigrats in Medellín too, well, well. I was amazed to see how much it was taken care of, being the huge metropolis it has now become. Apparently warmer these days than it used to be, I did enjoy for a few days the cool so called spring-like weather I was hoping to find (it is known as the eternal springtime city). A reflection of the niceness of the city, as was the slow and cool, and calm melodic accent of its people. I have always enjoyed this accent. A few things about the landscape: A modern city without the rush of big, populous urban areas (at leats in New Year's). To me it was new to find it full of small hills inside, coming from everywhere, all of them intertwined and carpeted with houses. Downside: Of course, as Colombian I was impressed by the metro, yes, a big achievement that puts it even above the capital district, I noticed though, as it is elevated, I couldn´t enjoy actually seeing the different areas, and I disliked that it can cut the view of a nice area in half. Something for planners and policy makers to think through when making big urban innovations. For a moment I thought I would never see a homeless person, but as in all our big cities there are very marginalised areas that shouldn't exist in this century. Of course I went to some of the usual places, but I won't talk about those here. I loved the relaxed atmosphere of the city and how well prepared it was to welcome the tourists. Certainly I didn't see enough, so I'll have to come back.